Unlike Scotch whisky, which begins to really get interesting after about 10 years of aging, American whiskeys are in their prime around the 6 year mark, and somewhere between the 9 to 12 year space begin to lose their balance and give in to the tannins from the barrels they are aged in. Barrels of whiskey can age at different rates due to where they are located in a rackhouse, what kind of rackhouse they are in, and the individual barrel itself. 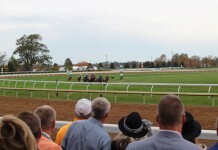 It’s not impossible to have two barrels laid down at the same time, right next to each other, age at different rates. The aging process is a little bit of a black box – we understand what happens inside the barrel, but exactly how and when it happens can be a mystery. Most American Whiskeys on the market are blends of several different years of whiskey. 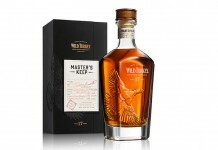 Maker’s Mark is well known for stating that they “blend to taste and not age” with no age statement on the bottle. It’s rare to find good American whiskey beyond this magical 12 year drop off point, but the folks over at Heaven Hill Distillery seem to be particularly good at it. Heaven Hill has shown their ability to find and present extremely old bourbon through their Parker’s Heritage Collection. In 2008 they released a mind boggling 27 year old bourbon (no longer available), and now Heaven Hill has released another wonderfully old bourbon under the Elijah Craig brand. Elijah Craig 12 Year Old Kentucky Straight Bourbon Whiskey is not only good, it’s a steal under $30. 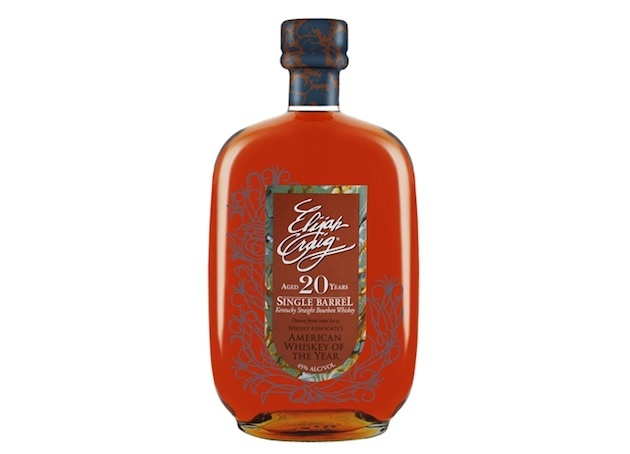 Elijah Craig 20 Year Old Single Barrel Kentucky Straight Bourbon Whiskey (45% ABV, 90 proof $159.99) is one of the older bourbons currently available on the market (Pappy Van Winkle’s Family Reserve 20 year is out there but incredibly hard to get). Each bottle is individually marked with the barrel date and which barrel it came from. 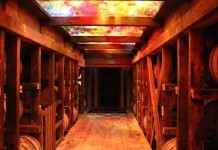 Since it’s a single barrel product, different barrels of this whiskey will vary. The one we are tasting from is barrel #5. While Elijah Craig 20 Year Old Single Barrel has spent a considerable amount of time in a barrel for an American Whiskey, the nose smells less of oak than it does of cinnamon, caramel, and almonds. There’s a sweet and slightly heavy quality to the nose without being overwhelming. The entry is bold with exceptional oak flavors. There’s no question from the beginning that this whiskey has really gotten to know the oak barrel it’s been aged in, and its character is defined by that barrel. After the initial impact of the heavy oak opening, the whiskey does open up with nice deep caramel, cinnamon, chocolate, and tobacco. There’s a symphony of oak spice here that is so well defined that it feels like you are tasting through the different layers of the wood. The mouth feel is slightly heavy with a medium oily character but overall it’s exquisite. The finish is all about the oak which lingers for a very long time on the palate. Older whiskey isn’t always better whiskey, but the Elijah Craig 20 year Old Single Barrel is a fascinating riff on aging. It manages to present an intense amount of oak without completely losing its balance and eclipsing the other flavors of the whiskey. While oak notes do dominate the taste of this whiskey, it’s not the whole story. Elijah Craig 20 Year Old Single Barrel manages to be an exceptionally enjoyable whiskey that really draws you in and invites you to explore the layers of oak within. Bourbon this old doesn’t stay on the market too long, so for bourbon enthusiasts it’s an excellent opportunity to add something unique to your collection. For lovers of oak it’s hard to think of a better whiskey. It’s an absolute love note to the barrel and one of the most enjoyable explorations of oak I’ve seen.